Bill is a good friend of mine. He's a Portuguese ex street dog who now lives with Anabela, who I painted his portrait for. I make a lot of pictures of animals, and every now and then I make a portrait of an animal that actually exists. Bill likes rubber chickens, wheels, and leprechauns. I think the picture is even better when you know these are his passions. Here's a photograph of Bill. 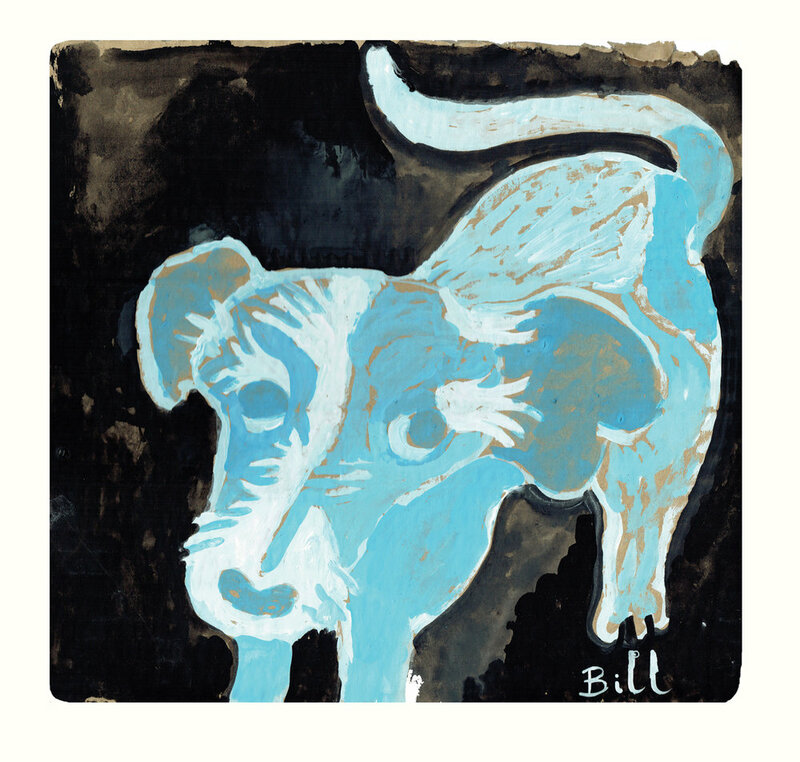 The first pet portrait I made was of a weird mongrel called Larry Bird, in Nashville. I painted his picture on two old vinyl record covers because I didn't have any good paper with me.